When it comes to choosing topdressing sand, I base my decision on availability, cost, products specs and most of all, quality and consistency. In today’s economy where budgets are being stretched as far as they can possibly go, Hutcheson Sand & Mixes meets all my high expectations within my budget and does so with proven customer service. When ordering topdressing sand from Hutcheson, I am confident that I am receiving precisely what I’ve ordered, right down to the last spec! 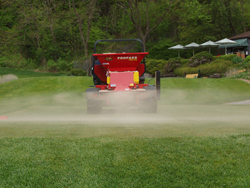 The practice of spreading sand on greens, tees and fairways known as topdressing has been a key part of golf maintenance since the beginning. 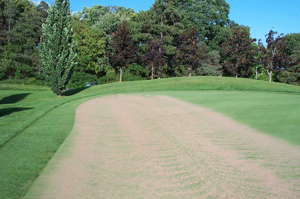 With so many benefits to the overall health of the turf our golf course superintendents value the topdressing maintenance program we provide. Our collection of top dressing sands includes A Sand, B Sand, C Sand, R Sand and S Sand.